The first RUVIVAL Book is out! We are happy to announce that we have just published our first RUVIVAL book! 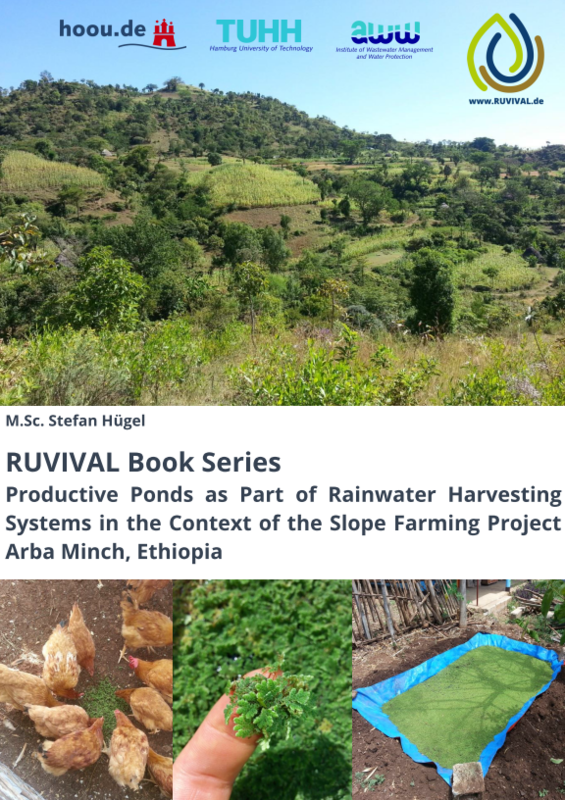 “RUVIVAL Book Series: Productive Ponds as Part of Rainwater Harvesting Systems in the Context of the Slope Farming Project Arba Minch, Ethiopia” by Stefan Hügel is a result of research collaboration between the Institute of Wastewater Management and Water Protection at the Hamburg University of Technology and the Slope Farming Project in Arba Minch, Ethiopia. Stefan spent months of research in both Hamburg and Arba Minch dealing with topics such as the use of ponds in rainwater harvesting systems, plants suitable for agricultural production in ponds and the processing of aquatic plant biomass to increase its nutritional value, as well as the integration of aquaculture systems. The book is available as a free download via the library of Hamburg University of Technology. We had a talk with Stefan and here is what he told us about his book. Stefan: During my first stay in Ethiopia I realized how much all agricultural productivity is limited by the availability of water. Because of the rain and dry seasons, there is either too much or too little rain. Floods and droughts are alternating with serious consequences for the local farmers. Rainwater harvesting techniques have the potential to alleviate this problem. I read about the enormous biomass productivity of Azolla, a floating fern, so I wanted to combine rainwater storage ponds with floating plants as part of an integrated approach. This book is about the combination of rainwater harvesting and aquaculture. By growing floating plants, such as Azolla and duckweed, on the surface of rainwater storage ponds, evaporation is reduced, the spreading of mosquitoes is reduced and the produced biomass can be used as animal fodder. RUVIVAL: Are you doing further research in this field? Stefan: Absolutely! I started my PhD in order to deepen my studies on the cultivation and usage of floating plants. I believe they will play a dominant role in the future of agriculture, as well as wastewater treatment and regenerative energy. Floating plants might play a key role in connecting those fields while maximizing synergies. RUVIVAL: Tell us more about the field work in Ethiopia. Stefan: I was actually surprised how well it went. The ponds that I constructed to analyze how much biomass I could grow with Azolla produced good amounts with little input of resources and time. A local farmer saw my ponds and asked me about them. After I explained everything to him and giving him some Azolla plants, he started to construct a pond on his farmland and fed the plants to his cows and chickens. It worked really well, so he is now building more ponds to grow more fodder for his animals, which saves him money. 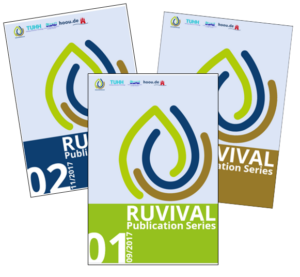 RUVIVAL: What are the most important lessons learned you will take from this research and writing of the book? Stefan: I learned that there is a lot of potential of improvement in conventional agriculture. New agricultural concepts can make a huge difference in the lives of many people by increasing the productivity, building up the soil and storing rainwater during the dry season. I also learned that it makes no sense to tell local farmers how to improve their ways of farming. They need to see actual proof to be convinced. That’s why it’s so important to put theoretical concepts into practice, so that others can replicate them and benefit from it! To read this book, click here. For more RUVIVAL Readings, click here. For more information on the Slope Farming Project, click here.